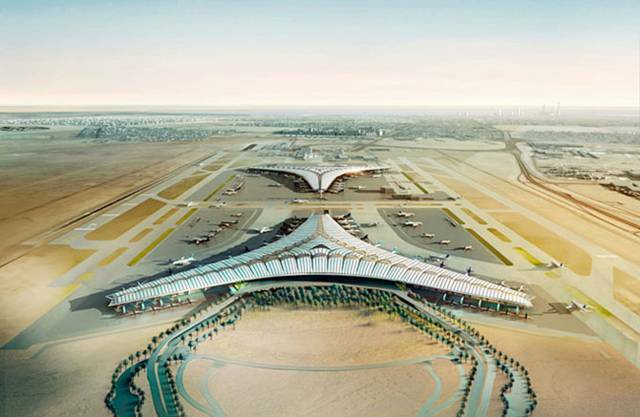 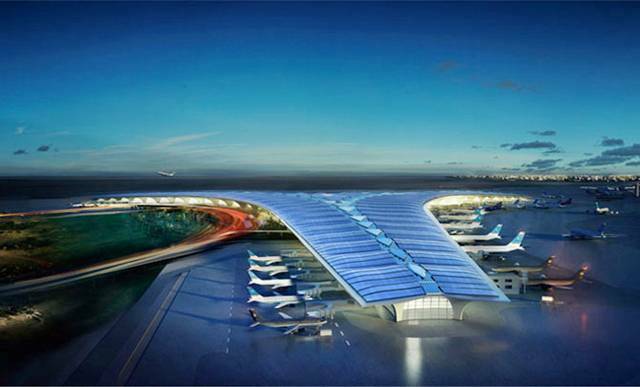 The new airport will have an innovative design-a modern approach and a practical one, too since the climate in Kuwait is one of the hottest in the entire world. 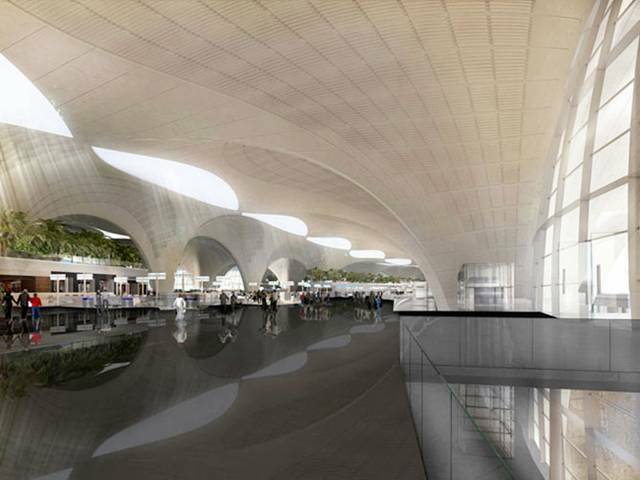 The plan is to increase the airport’s capacity of receiving more passengers; initially it will welcome around 13 million passengers per year.The terminal has the shape of a shamrock-the typical trefoil architectural design. 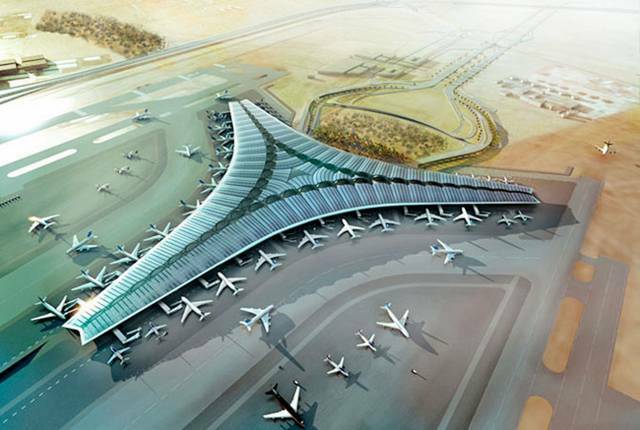 Each wing of each departure gate is equal to the other. 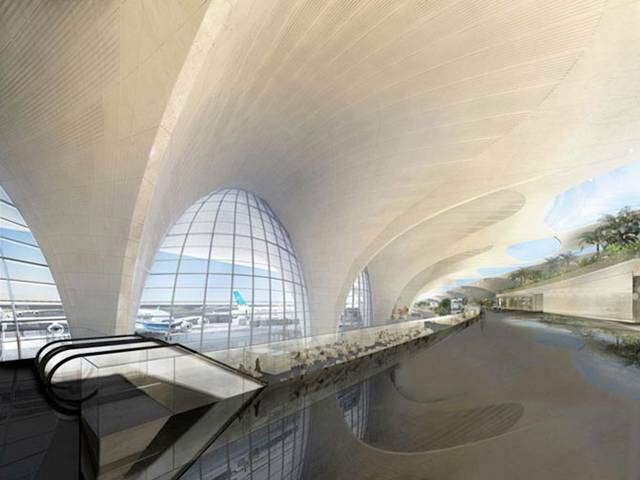 This is the first airport in the world that aims to win the LEED prize(the environmental accreditation).The eco friendly structure deflects the direct solar radiation because the huge single roof that encapsulates the entire airport is punctuated by glazed openings that filter the sun beams. 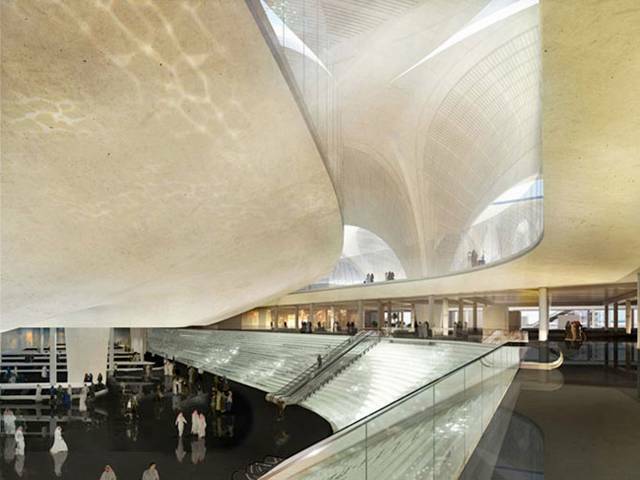 The columns are made of concrete and they bear the resemblance of Kuwait’s sailing boats, the traditional dhow. 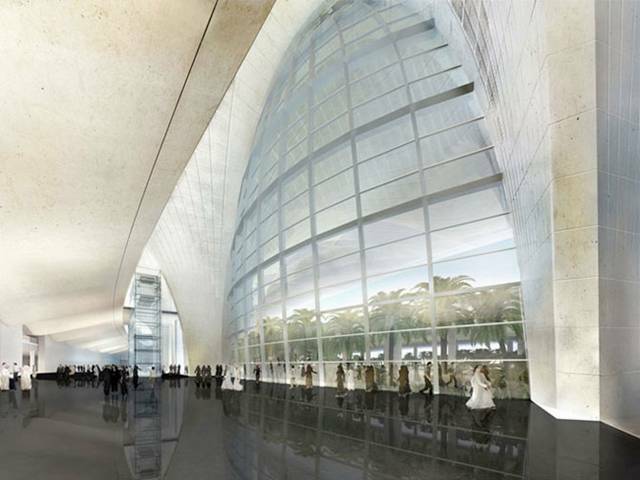 The entrance plaza is gigantic and is shaded by the roof thus offering the passengers the comfort they need.